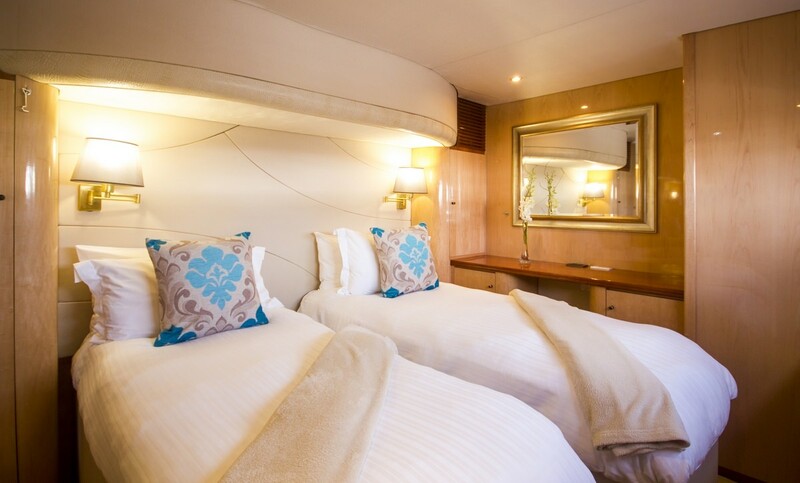 Impeccably built with stylish features throughout and a spacious layout maximized for comfort, luxury catamaran KINGS RANSOM invites guests to enjoy the ultimate private yacht charter vacation in an idyllic setting set against the stunning backdrops of the dramatic Mediterranean. 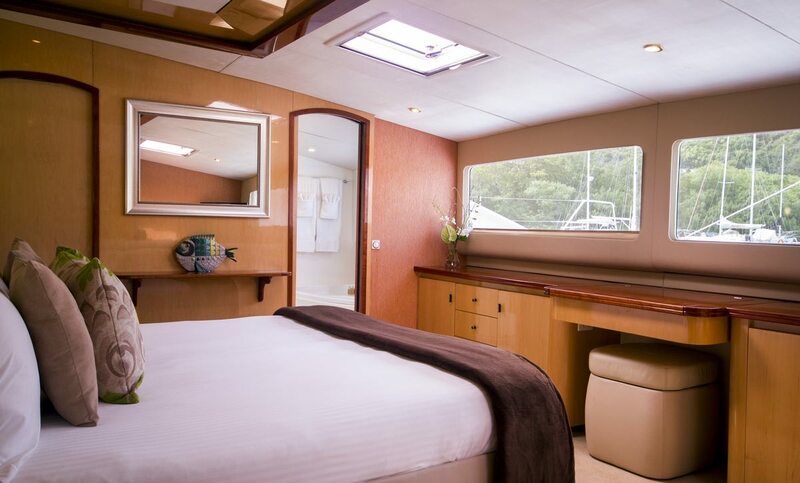 A sleek 76' sailing catamaran from Matrix Yachts, she features a striking modern silhouette, chic contemporary interiors, and expansive deck areas. 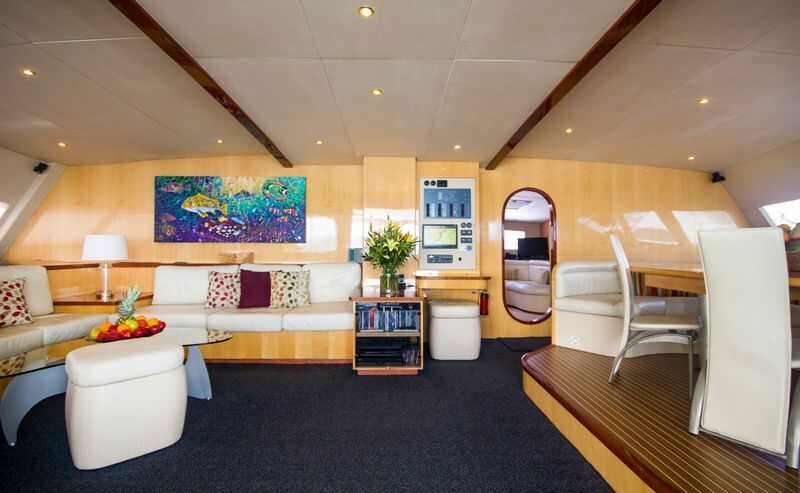 Crisp and clean contemporary living areas onboard charter yacht KINGS RANSOM are bright and airy, brimming with an elegant yet casual atmosphere that lend perfectly to festive get-togethers and intimate gatherings. Ideal for entertaining and designed for comfort in mind, the amply-sized salon and dining areas feature a soft and soothing color palette, are stylishly-appointed, finished in the finest materials, and beautifully accented by designer artwork. 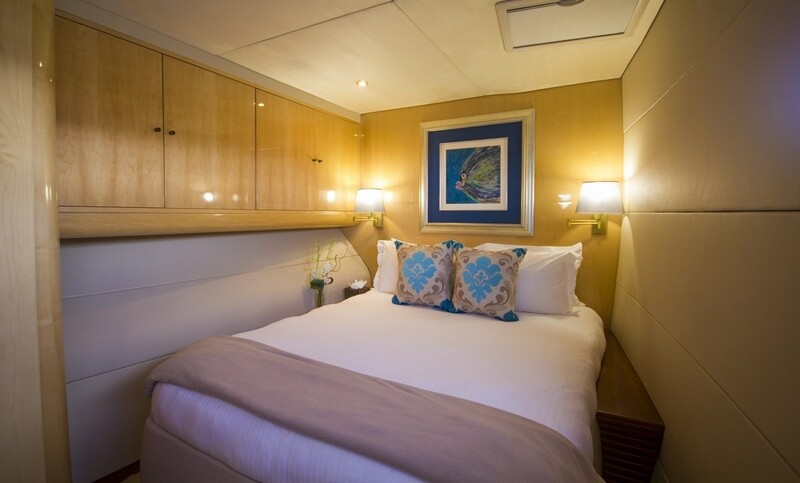 Each luxurious cabin onboard sailing catamaran KINGS RANSOM presents an unrivaled level of contemporary sophistication and features private bathrooms, walk-around beds, and luxe amenities. 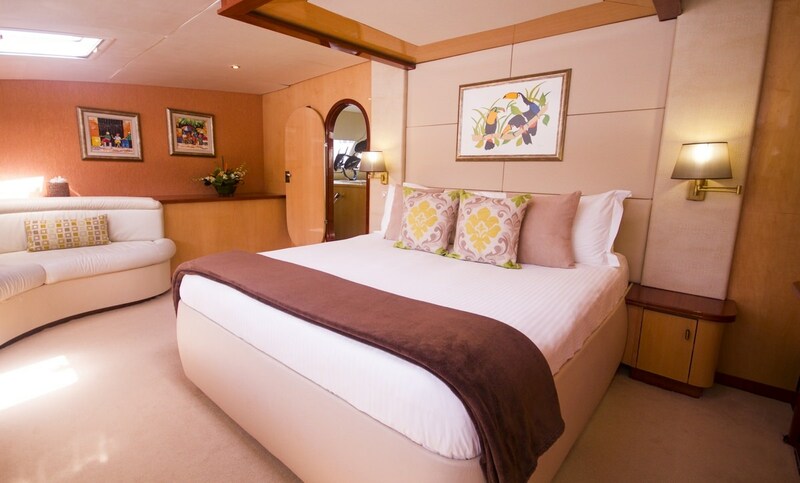 Ideal for both a large group of friends or those traveling with family, up to 10 guests can be accommodated in one impressive master suite with a king size bed and four queen bed guest cabins, one of which is convertible into two singles. For delightful moments taking in spectacular vistas while underway or at berth, guests will want to spend plenty of time outdoors on the sprawling deck areas. 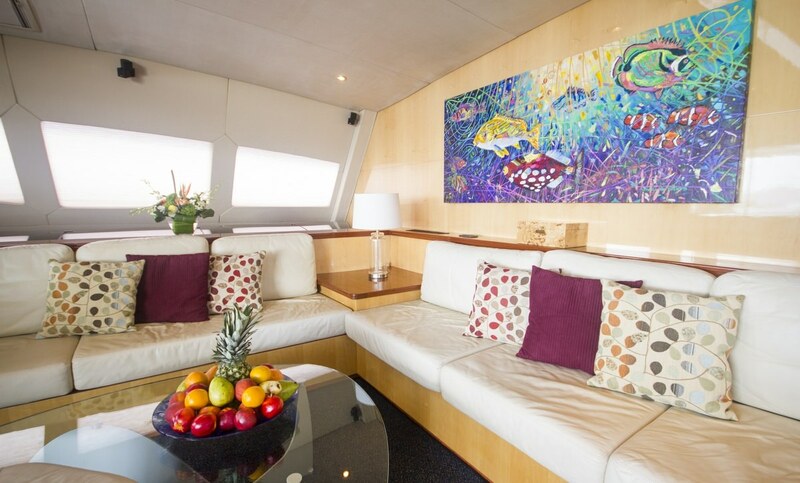 The aft deck is the perfect spot to indulge in a divine dining experience or relax with a refreshing cocktail in hand on the plush cushioned settees while the flybridge offers splendid opportunities for lounging in the sun or enjoying a soothing dip in the Jacuzzi. Charter yacht KINGS RANSOM is exceptionally suited for active-minded guests that enjoy thrilling adventures on the high seas. 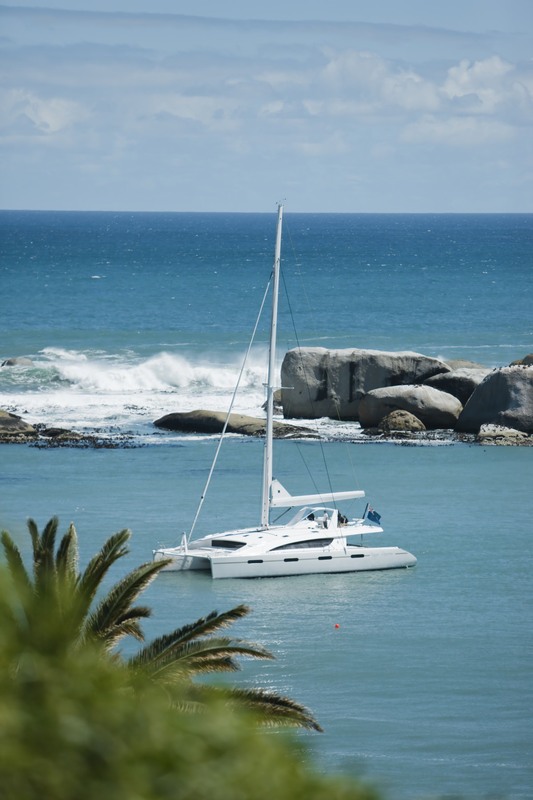 Guests can choose from an extensive list of exciting waters toys that include water skis, a kayak, a kneeboard, a wakeboard, snorkel gear, and dive equipment. 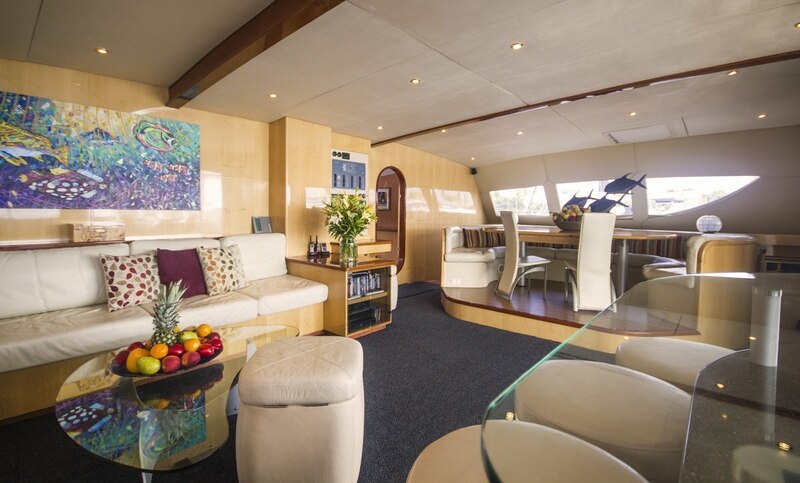 For an unforgettable sailing holiday exploring picturesque ports of call in the Balearics, luxury catamaran KINGS RANSOM is a charter yacht of the finest caliber delivering moments of pure perfection.